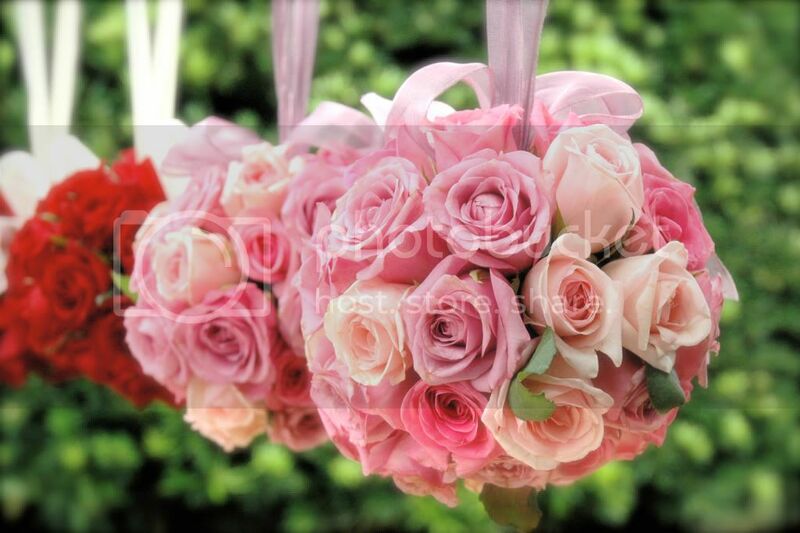 The first step to approach bouquet arrangement is, in believing that this can be done by either man or woman. This task is definitely not gender specific. There are many kinds of flowers, fillers, colors, and covering materials to choose from in building a bouquet, so just like any other skill, all it requires is some practice. Arm or Presentation Bouquet: Also commonly used in pageants, awards and competitions usually using long stemmed flowers such as roses and calla lilies, and is arranged to be “cradled” by the arm. Imagine it running through an arm’s length, leaning perpendicularly chest high on the individual while still allowing a free hand for a congratulatory shake. Depending on the actual choice of flowers used, it can be complimented with other fillers or left pure for simplicity. It is traditional fastened with a striking ribbon whether by hand or braided. The simplest kind can even use a minimum of six roses. Biedermeier: http://www.yourdictionary.com relates to the origin of this style to a 19th century German style of furniture design which is solid, comfortable and simple making it a very popular choice for today’s modern weddings. This is a very compact arrangement using flower bulbs with very uniform sizes – arranged in tight concentric circle from the center outward. From the top it is viewed like a target and from the side looks like a Top. Accents are hardly used, sometimes using two or more colors as an option. This uses most floral tape, some ribbons and some wires to give the handle a tight, rigid grip. Cascade or Teardrop: The third most popular bouquet of choice is a very eloquently flowing design. It’s a top-heavy arrangement that has the flowers tendrils drooping towards the ground. This uses a full armament of fillers and accents that gives a very royal and opulent atmosphere to the occasion. Throw Bouquet: it’s actually a scaled down version of the bridal bouquet which is really designed to be easily thrown at the single ladies in the audience. Pomander: This is best partnered if the bearer intends to wear gloves. It’s a hanging ball of flowers slipped on the wrist via a ribbon. The ball effect is created by fixing the stems on a Styrofoam type floral aid. 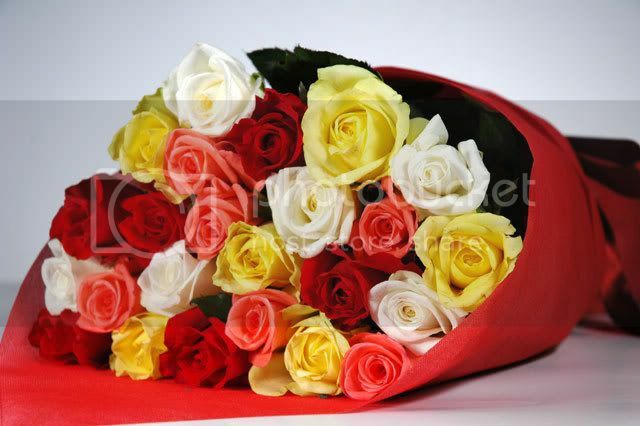 In describing the styles above, we have mentioned the most important materials in making a bouquet. http://home.howstuffworks.com/how-to-arrange-flowers6.htm aptly describes bouquets as large corsages. Remember those things you gave or received from your date during prom? Girls either had to wear it on your wrist or pin them on their dress. It was usually made up of a single large bulb flower with minimal accents or a dainty orchid arrangement. The five things you must have with you at all times would be floral tape, chicken wire, ribbons, and sharp scissors. For a sturdy arrangement, first try using long stemmed blossoms. Wrap some wire along the stem to give it more support and give you the ability to bend them into shape later on. Don’t forget to trim the ends. Arrange the stems and the desired fillers on a clean table and without disturbing the arrangement above, clasp them together at least one hands length from the bottom to make a handle of sorts. It doesn’t have to be too wide as women generally have smaller hands. While holding together, look at the set from the sides and above if they are symmetrical and balanced, if so tie them together from where you hold them with wire and floral tape. Make sure it’s tight and trim the ends again to prevent any pricking. Take the ribbon and cut three times the length of the desired bow. Do not depend on the bow to keep the arrangement together that is why we use the floral tape and wire. There’s an entire art into making ribbons, but for starters go for the shoelace version and just extend the ends for a drooping effect. That’s basically it, with a lot of practice and experiments on other materials you can try doing the other styles mentioned here even from the luxury of your home. Cheers! Get the freshest flowers when making your own flower bouquet. Send it to your doorstep straight from the farm. Order at www.islandrose.net. This entry was posted in All About Roses, Weddings.